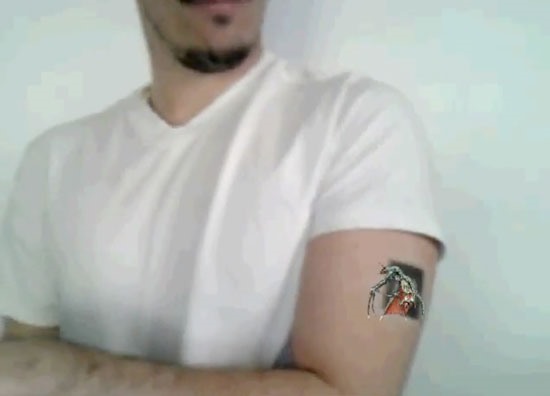 Another innovative use of augmented reality - we've seen transparent walls, t-shirts that play Rock, Paper, Scissors, an iPhone operated video game drone; and now, a tattoo that comes to life. 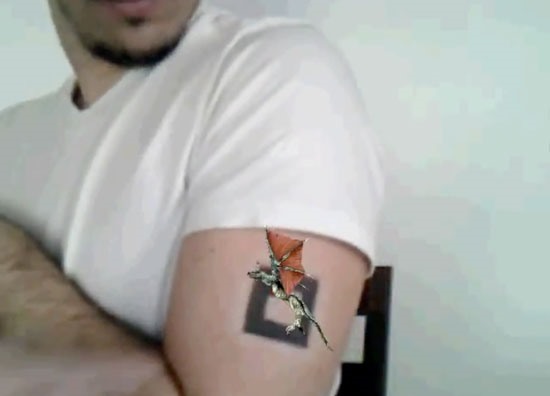 Just tattoo a simple "barcode", point a webcam at it, and a flying animated dragon will appear, hovering. "The augmented reality tattoo is a development by the Buenos Aires based company Think An App, which developed the software to recognize the AR barcode on curved surfaces like the human body. While this concept is a novelty now, this unlocks a range of new possibilities for tattoo art." News: Can You Find the 5% that is NOT Tattooed? The dragon only appears on the computer screen, the black box is just so the camer knows where and what angle to hold the dragon at. Motion Capture technology hard at work. So you're gonna walk around with a computer stuck to your arm... great. 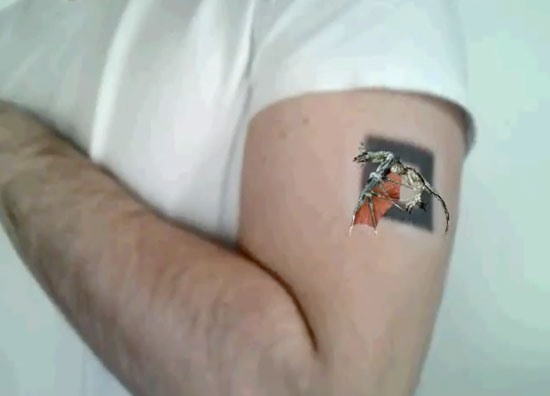 If not, then that tattoo was a waist of ink.